Originally this area was speculatively developed as a cotton farm, with a company of business partners being owners, one was George Raff. After this failure, the Cotton Business land here was bought by George on his own. He developed it as a Sugar Cane Plantation and Processing Works. A Scottish settler, George Raff named this Sugar development Moray Fields, to complement his Moray Bank house in Brisbane City. 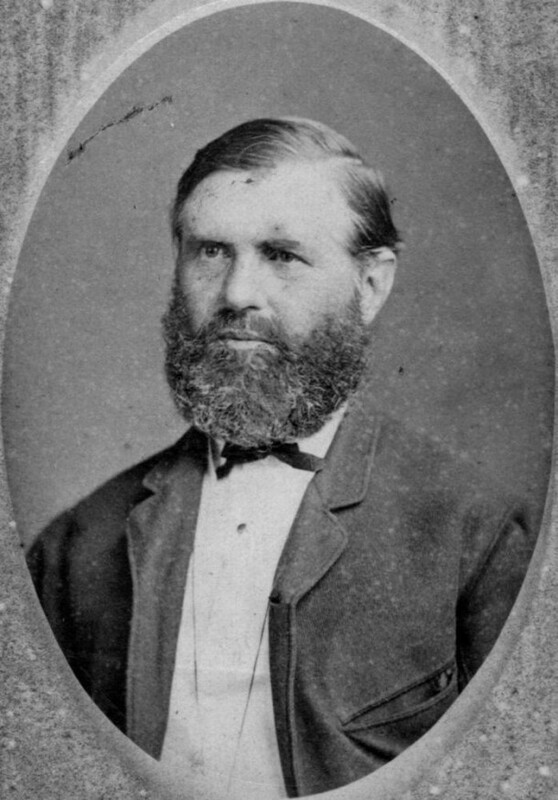 Raff was intimately involved in the early development of Queensland. He was a member of the second Queensland Parliament and a prominent Brisbane local businessman, operating in and out of Raff’s Wharf on the Brisbane River. At Moray Field George Raff brought in technology to help with business activity. He introduced a loop of tramway constructed on timber foundations – a system for cut cane transport, which enabled a horse or two to haul heavy loads in from the fields more easily. Steam power was employed to drive the machinery on the property. Sugar cane was grown here for the production of sugar, but also for rum and molasses. (Brisbane Courier, ‘Cotton and Sugar, The Great Staples of Queensland’, 6 October, p.2). The plantation was substantial undertaking in what was then a remote area, being approximately 40 kilometres north of the Brisbane. Access by land was difficult. Links to the outside world were better via boats and small steamers. A ‘commodious wharf’ was built on the river for landing and embarking goods or produce in the small vessels required for maintaining communication with the capital. …stockyards, stables, sheds, carpenters shops, blacksmith’s shop, butcher’s shop, baker’s shop, stores, saw mill, and an innumerable lot of other buildings. At this time Moray Fields was a local communication node. 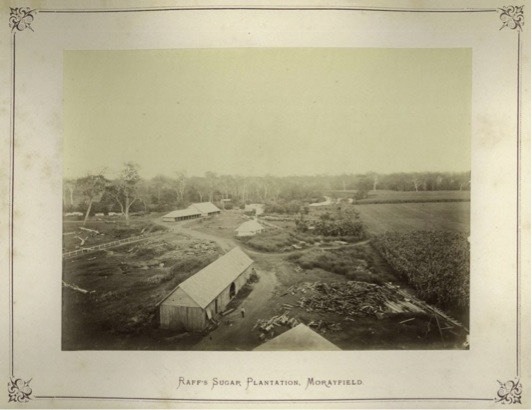 Local properties nearby, such as Durundur Station which was located close to modern day Woodford, had a shed for storing supplies delivered by steamer for later collection. Cattle from Durundur provided meat for the people living at Moray Field. George Raff was a prominent supporter of the use of Islander peoples as labour on plantations. It remains unclear how many Islander labourers worked on the plantation, but in the late 1860s newspaper reports of the time suggest up to 70 at a time. These people came from a number of islands in the South Pacific, but particularly from modern day Vanuatu and New Caledonia.